SMi Group announces the 10th Annual RNA Therapeutics Conference in London on February 20th - 21st 2019. The field of RNA therapeutics is rapidly expanding, and the potential for using RNA drugs for personalised medicines and immunotherapy, as well as to address genetic, infectious and chronic diseases will ensure the continued development of RNA therapeutics for years to come. Join us in February 2019, as SMi’s RNA Therapeutics Conference brings together industry experts from leading RNA therapeutics companies to discuss the challenges for clinical translation of RNA-based therapeutics, with an emphasis on recent advances in delivery technologies, and present an overview of the applications of RNA-based drugs for modulation of gene and protein expression, and genome editing. Networking Opportunities: We keep networking at the forefront when it comes to our events. With 7+ hours of networking included in the event, there will be multiple opportunities to interact with the key industry leaders within the RNA Therapeutics, to benefit your company and develop your career. The Agenda: A valuable time is spent on the programme and industry, all to provide the best possible agenda for our attendees. Discover the latest trends and hottest topics this 2019. Location/Venue: Being held in the heart of London, Holiday Inn Kensington Forum is perfectly located to explore London from. Onsite: Our knowledgeable events team onsite staff will provide you with an exceptional service. They will answer any questions you may have and inform you about any changes to the agenda, to ensure the event runs smoothly. Attendees from all over the world attend our events, gain hands on insight from representatives from UK, Europe and USA. Dr. Leberer received his Ph.D. in Biology at the University of Konstanz, Germany (1986). He conducted post-doctoral training in molecular biology at the Banting and Best Institute of the University of Toronto, Canada, and then became a Professor of Biochemistry at the University of Konstanz, Germany (1992). He is currently responsible for R&D Alliance Management at Sanofi, and is the Scientific Managing Director of the Innovative Medicine Initiative COMPACT Consortium on the delivery of biopharmaceuticals across biological barriers and cellular membranes (www.compact-research.org). Since joining Hoechst Marion Roussel in 1998, Dr. Leberer carried out various managing roles in this company, Sanofi’s predecessor companies and Sanofi itself, including responsibilities in functional genomics, biological sciences and external innovation for oligonucleotide-based therapeutics. He has also served as Head of Biotechnology Germany and a member of the Scientific Review Committee of Aventis Pharma Germany. Prior to joining pharmaceutical industry, Dr. Leberer served as Senior Research Officer in genetics and genomics at the Biotechnology Research Institute, National Research Council of Canada, Montreal. His research has focused on the molecular mechanisms of signal transduction and the role of signalling molecules in human diseases. He is the principal discoverer of the p21 activated protein kinase (PAK) family of cell signalling proteins and of novel virulence-inducing genes in pathogenic fungi. He is co-author of more than 60 publications in prestigious peer-reviewed journals including Nature and Science. David Giljohann, CEO, Exicure Inc.
Dr. Giljohann has served as CEO of Exicure since 2013. Dr. Giljohann obtained his Ph.D. in 2009 from Northwestern University under the direction of Dr. Chad A. Mirkin where he developed oligonucleotide-modified nanoparticles, including NanoFlare™, and Spherical Nucleic Acid (SNA™) constructs. Dr. Giljohann has contributed to over 25 manuscripts and over 100 patents and applications. As Head of Synthesis & Optimization, RMR Christoph is responsible for leading the Oligonucleotides synthesis team and two Lead Design & Synthesis teams and as a member of the RMR-LT he participates in defining and setting the strategy for RMR. Christoph holds a Master of Science and a Ph.D. in Organic Chemistry from the University of Southern Denmark (the lab of Prof. Jesper Wengel - one of the inventors of LNA). After his PhD, Christoph worked as a post-doctoral fellow at the Danish Technical Univerisity. In addition Christoph holds an executive MBA in Technology, Market and Organisation from Copenhagen Business School. Christoph started his biotech career in Cureon as chemist with the task of synthesizing the LNA monomers. The company was later merged with Pantheco A/S to create Santaris Pharma A/S in 2003, where he become group leader for the chemistry team. Later the group was joined with CMC, Bioinformatics, PK and Pharmacolgy to form the Research Operation Department for which he became the director. A position he held until the acquisition by Roche in 2014. Having joined the MHRA in 2009, Kirsty is a Senior Medical Assessor and the Deputy Unit Manager in the Clinical Trials Unit. She has been involved in the UK regulation of clinical trials across all therapy areas and all phases of development, including trials for chemical and biological products, Advanced Therapy Products and many first-in-man studies. She has also been involved in European discussions aiming to establish an EU harmonised approach to clinical trials, particularly for Developmental Safety Update Reports (DSURs) and Reference Safety Information (RSI). More recent EU priorities have included the new Clinical Trial Regulation and Kirsty currently sits on the safety subgroup of the Clinical Trials Facilitation Group (CTFG) that is working on how safety reporting aspects will be implemented. She is also the co-chair for safety for the EU NTC Curriculum for European regulatory agency assessors and was an EMA expert for the update of the First-in-Human guideline. Other recent work has included collaboration with external industry groups and regulators regarding adaptive and novel trial designs: she is an author on the upcoming ECMC consensus paper on complex innovative trials and a contributor to the EU CTFG discussions on adaptive design trials. Dr. Mandler is CSO of ACCANIS, bringing with him over 10 years of collaborative research and management experience spanning academia and industry. He completed his PhD at Boehringer Ingelheim´s Institute of Molecular Pathology in Vienna in 2003 working on skin development and especially focused on appendages including hair, feathers, and teeth. Dr. Mandler is the former head of the Neurodegeneration Department at AFFiRiS where he was responsible for developing several immunotherapeutics from preclinic into early clinical development. He has authored numerous publications in high impact journals, several patents and has received multiple national and international research grants for his work. • mRNA is a new drug format capable of exceeding existing protein-based therapeutics. Dr. Jeffrey Ulmer received his B.Sc. with honors from the Department of Chemistry at the University of Regina and was the recipient of the Merit Award of the Society of Chemical Industry of Canada. He received his Ph.D. in biochemistry from McGill University and completed his postdoctoral training in the laboratory of Nobel laureate Dr. George Palade in the Department of Cell Biology at Yale University School of Medicine. At Merck Research Laboratories, Chiron Corporation and Novartis Vaccines he conducted seminal studies on nucleic acid vaccines and novel vaccine adjuvants/delivery systems. He has published over 200 scientific articles and is an inventor on 11 patents. Dr. Ulmer is on the editorial boards of Expert Opinion on Biological Therapy, Human Vaccines, and Expert Review of Vaccines, and serves on several external scientific advisory boards and committees. During his 28 year career in vaccines R&D, his leadership roles and responsibilities have included: Platform Technology Leader (DNA, RNA vaccines), Project Leader (Tuberculosis, SARS), Department Head (Immunology & Cell Biology), US Site Head for Research, and Global Function Head (External Research). He is currently Head, Preclinical R&D, GSK Vaccines, where he leads a diverse team of scientists in the discovery and development of viral and bacterial vaccines, and technology innovation. Dr. Kai Wilkens completed his Biology studies and PhD thesis in Molecular Biology in Bochum working in the field of Gene Expression Control. He did clinical research for a couple of years and after that held different positions in several Life Science companies pioneering innovative technologies and mainly enabling new approaches in translational and clinical research. These included MWG Biotech, Panomics/Affymetrix, Mesoscale Discovery and now Advanced Cell Diagnostics, a Bio-Techne brand. André studied Biochemistry at the University of Zurich and obtained a PhD in Cell Biology from the University of Basel for his work on adenosine deaminases acting on RNA. He completed post-doctoral studies at Stanford University, where he started to explore RNA-protein interactions on a global scale. During 2004-2011, he was an independent research group leader at the ETH Zurich, further investigating RNA-protein interaction networks with genomics and proteomics means in different model organisms. Since 2012, he is Professor of RNA biology at the Faculty of Health and Medical Sciences, University of Surrey, UK. CEO and co-founder of the biopharmaceutical company CureVac AG, incorporated in 2000, is Dr. Ingmar Hoerr. His entrepreneurship was motivated by a surprising discovery during his doctoral research at the University of Tuebingen. Experiments conducted for his research showed that the mRNA molecule class can be injected into tissue directly and is capable of expressing genes into proteins effectively as well as generating a strong specific immune response, contrary to what had previously been believed. From this key discovery, the founders built up a company that was the first ever to treat a human subject with an mRNA drug and that is now a leading German “unicorn” in the research and development of mRNA-based drugs. Ingmar Hoerr received his PhD from the University of Tübingen and his MBA from Danube University, Krems, Austria. He currently advises the European Commission as member of the High Level Group of Innovators in developing a European Innovation Council and is juror of the founder prize Weconomy. Paul Agris founded The RNA Institute, a global alliance of top RNA biomedical researchers creating tools for RNA applications. Formerly, Agris was Head of NCSU’s Department of Biochemistry and founded and led the RNA Society of North Carolina for more than a decade. He was an Assistant, Associate and full Professor in the Division of Biological Sciences and Department of Medicine at the University of Missouri-Columbia. Agris received his graduate degree from MIT, and was a postdoctoral fellow at Yale. For over 50 years, he has conducted funded RNA science leading to publications, patents and the founding of two companies. Bob Brown, Chief Scientific Officer, Senior Vice President, Dicerna Pharmaceuticals Inc.
Shalini is currently the Senior Director and Head of New Therapeutic Modalities, Cardiovascular, Renal and Metabolic Innovative Medicines unit (CVRM IMED) in AstraZeneca. Shalini has broad experience in Pharmaceutical research as well as strategic and management roles. Shalini drives several collaborations with external partners including an open innovation collaboration with Ionis Pharmaceuticals and the delivery of modified RNA to man with Moderna Therapeutics. Shalini is also involved in several academic collaborations across the globe. Prior to this role, Shalini held several leadership roles within CVRM Drug Metabolism & Pharmacokinetics and in Medicinal Chemistry. Shalini received her PhD in 1989 at the University of Linköping, Sweden and has held various research and teaching positions at the University of Linköping prior to moving to industry. She is the author or co-author of over 35 peer reviewed articles, 2 book chapters and 4 patents. Heinrich Haas has more than 20 years of experience in academic research and industrial pharmaceutical development. After he received his Ph.D. in physical chemistry, Dr. Haas researched lipid membranes and organized biomolecular systems. His professional focus is on colloidal/nanoparticulate formulations for targeted drug delivery with therapeutic and diagnostic applications. Before joining BioNTech RNA Pharmaceuticals GmbH (former Ribological GmbH), he was responsible for a variety of projects in biopharmaceutical research and development, ranging from the exploration of novel colloidal therapeutic and diagnostic carriers to up-scaling and development of market-compliant manufacturing methods for liposome products. After joining BioNTech RNA Pharmaceuticals GmbH in 2010, he helped build the formulation development and analytics unit, which develops formulations for delivery of RNA and small molecules. He has an active record of publications in peer-reviewed journals and patent applications in the field of drug delivery. Daniel Zucker completed a Ph.D. at the field of drug delivery and biochemistry at the Hebrew University of Jerusalem in Israel in 2010. Next, he went for a postdoc at the Technical University of Denmark, at the Centre for Nanomedicine and Theranostics. Afterwards, he worked as a senior scientist for RNA delivery at BioNTech RNA Pharmaceuticals GmbH in Germany. Currently, he is a business development manager for drug delivery systems at NOF Europe GmbH in Germany. During his career, he worked on lipid and polymer based nanoparticles and gather experise in reseach, formulation development, regulatory affairs, and business development. Daniel is a co-author of 7 peer-reviewed articles, 3 patent applications, and 1 book in the field of drug delivery. • Reducing toxicity of lipids by designing biodegradable structures. • Improving transfection of RNA by using lipids that degrade themselves fast in the intracellular environment. • RNA delivery in vivo to specific organs by lipid nanoparticles. • Oligonucleotides have a huge pharmacological potential but their widespread therapeutic application is limited due to pharmacokinetic and drug disposition limitations at both the tissue and cellular level. • The presentation will address these delivery limitations and summarize the work of a European consortium (Innovative Medicines Initiative COMPACT Consortium) of pharma companies and academic partners to improve nanocarrier-based delivery technologies that can overcome these limitations. Dr. Panzner is an expert in oligonucleotide delivery; author of more than 35 patent families and numerous scientific publications covering novel concepts for oligonucleotide delivery such as the Viromer® (virus-mimicking polymer) and the Smarticles® (amphoteric liposome) technology. Products based on these technologies are in phase 1 clinical trials or earlier stages of development. Dr. Panzner was Founder and CSO of Novosom AG between 1999 and 2010 and is Founder and CEO of Lipocalyx GmbH which started 2011. He also is a consultant and CMC expert for pharma and biotech companies as well as for VC firms. I have a degree in Biochemistry from Oxford University, a PhD from London University and then worked as a Post Doc at the ICRF in London. In 1987 I joined AstraZeneca where I championed the company’s move into therapeutic antibodies and led the collaboration that developed Imfinzi. I was appointed Chief Scientist in Oncology in 2008 and in my last 4-5 years at AstraZeneca I led a global cross therapy area team on oligonucleotide-based therapies. In October 2015, continuing my career in Oligonucleotide Therapeutics, I joined MiNA Therapeutics as their CSO and lead research on their small activating RNA platform. • Clinical experience with MTL-CEBPA – the first saRNA in the clinic. Christian Plank is co-founder and chief technology officer of Ethris GmbH located in the Munich metropolitan area in Germany. Christian Plank holds a PhD in biochemistry from the University of Vienna, Austria. After a postdoctoral fellowship with Prof. Francis C. Szoka at the University of California, San Francisco, he returned to Europe to become a professor at the Technical University of Munich, Germany. He has been a principal investigator and coordinator of numerous grant projects that have focused on non-viral nucleic acid delivery and nanomagnetic drug targeting. He is a member of the Munich Center of Nanosciences (CeNS) and of the "Nanosystems Initiative Munich" (NIM) cluster of excellence. Hans Kistemaker studied chemistry at the University of Groningen. He performed his bachelor and master research internships under the supervision of Nobel laureate Prof. Dr. Ben Feringa. He then moved to the bio-organic synthesis group of Prof. Dr. Hermen Overkleeft and Prof. Dr. Gijs van der Marel at the University of Leiden, where he performed his PhD research under supervision of Dr. Dima Filippov. He graduated with honors on his research titled ‘Synthesis of well-defined ADP-Ribosylated biomolecules’. He joined ProQR Therapeutics, a drug development company focusing on severe genetic disorders, in 2015 and he is now an Associate Director within the CMC department responsible for all the chemistry and Drug Substance manufacturing activities within ProQR. Ali leads medical activities for Alnylam Pharmaceutical’s amyloidosis franchise in the UK & Ireland. Alnylam is leading the translation of RNA interference into a new class of innovative medicines. Prior to Alnylam, Ali held leadership roles in the UK and internationally at Novartis. Before this, he was an Engagement Manager in McKinsey & Company’s London office, where he worked with pharmaceutical companies on strategic projects. Ali is a physician and has previously worked in the NHS, both as a clinician and research fellow. His medical degree is from the University of Oxford, where he was a Hobson Mann scholar. Chief Scientific Officer, Senior Vice President, Dicerna Pharmaceuticals Inc.
View details ChemGenes Sponsors and Exhibitors http://www.chemgenes.com ChemGenes, an ISO 9001 certified company established in 1981, is the industry leader in manufacturing oligonucleotide synthesis reagents and has consistently provided the highest quality phosphoramidites and solid supports in the market. Our facility, just outside of Boston/Cambridge Massachusetts USA, is setup for bulk manufacturing of therapeutic grade phosphoramidite and solid support DNA/RNA synthesis products for GMP grade oligonucleotide manufacturing. Additionally, ChemGenes carries the widest variety of modified phosphoramidites and supports currently used in oligonucleotide synthesis including Microarray Technology, Oligonucleotide Therapeutics, Oligonucleotide Based Probes and other areas of Nucleic Acid research. ChemGenes remains devoted to providing you with invaluable customer service and comprehensive technical support. View details Intertek Sponsors and Exhibitors http://www.intertek.com With nearly 20 years’ experience in regulatory-driven, phase-appropriate application of orthogonal analytical techniques for oligonucleotides and a heritage of supporting GMP manufacturing and regulatory submissions, our expertise can support your development from initial characterization and CMC, through to bioanalytical services and long-term quality control including Method Development/Validation, Identity/Assay, GMP Release/Stability Testing, Physico-chemical, Structure, Sequence & Chain Length Characterisation, Cell-Based Assays, Purity & Impurities Analysis, ICH Stability Studies and Extractables / Leachables. View details NOF Corporation Sponsors and Exhibitors http://nofeurope.com/ NOF Corporation is the leading manufacturer of GMP grade activated PEGs, lipids, ultra-pure polysorbates 20 and 80, and excipients for drug delivery products through R&D to commercial scale. We continue to provide cutting-edge products for nucleic acid delivery, antibody-drug conjugate, hydrogel medical devices, vaccine formulation and targeted delivery of oncology drugs. View details The RNA Institute Official Media Partner https://www.rna.albany.edu/ Mission: The Institute is focused on disseminating the technologies, tools, methods and materials through collaborations with researchers in a breadth of disciplines and foci critical to the advancement of scientific capabilities. RNA is ephemeral and challenging to work with but its potential in medical sciences and human health is invaluable. View details Absave Supporters http://www.absave.com Absave.com is the leading savings website for Antibodies and Immunological Products. Search our extensive database of Antibodies, Kits, Proteins & Peptides, Reagents, etc. to find the best savings! View details Biosave Supporters http://www.Biosave.com Biosave.com brings together the best Life Science promotions, product releases, featured products, publications, videos and events from 100’s of leading Life Science suppliers. Updated 24 hours a day, Biosave is constantly uploading special promotions and exciting product news that you won’t find anywhere else. Our goal is to provide our users with the most exclusive product information to help reach that all important purchasing decision. View details Drug Discovery Today Supporters http://www.drugdiscoverytoday.com/ Drug Discovery Today covers the whole of the preclinical drug discovery process. The reviews are cutting edge, written by experts in their respective fields and cover all aspects of drug discovery from genomic and proteomic approaches, computational drug design, medicinal chemistry and the translation of these sciences to therapies. View details Drug Target Review Supporters http://www.drugtargetreview.com Drug Target Review’s quarterly magazine, website and annual events program provides high quality content with peer-written articles that are submitted exclusively by the world’s most respected scientists in their field. This attracts a committed base of readers, users and delegates made up of senior decision-makers from the life science and drug discovery industries at the top pharmaceutical companies, as well as academics and scientists from the top research institutes across the globe. View details Future Science Group Supporters http://bit.ly/2A5IXar [Therapeutic Delivery Journal] Therapeutic Delivery offers both academics and industry professionals broad and comprehensive coverage of all aspects of the evolving drug delivery field. The journal features cutting-edge research and reviews, opinion articles on the hottest topics and a monthly industry update, written by key players in the therapeutic delivery community. View details GBI Supporters http://www.gbihealth.com/ GBI is an information, applications, and services company focused on the healthcare industry. Leveraging data from across the healthcare value chain, GBI creates web and mobile applications that enable individuals and organizations to make better decisions and communicate more effectively. View details International Pharmaceutical Industry (IPI) Supporters http://ipimediaworld.com/ IPI – International Pharmaceutical Industry IPI – was established to fill in the void for effective marketing and communication between all stakeholders in the Life sciences sector globally. Edited by our carefully selected editorial advisory panel, and extensive research network, IPI provides a proven supportive means of communication to the pharmaceutical, bio pharmaceutical, nutraceutical and medical devices industry the latest in research and technology innovations, regulatory guidelines, marketing and communication strategies which will enable them to be more efficient, bring products to market faster, reduce cost and make healthcare accessible to all. View details Journal for Clinical Studies – Your Resource for Multisite Studies & Emerging Markets Supporters http://www.JforCS.com Published bi-monthly.JCS is a unique journal, dedicated to providing information to the global pharmaceutical, biotechnology, medical devices and contract research organisations. JCS details practical and theoretical operational procedures, challenges, validatory and regulatory guidelines when conducting trials on a multisite basis and particularly within the emerging markets, naïve patient population, and remote access areas. JCS provides country by country objectives and uniquely brings you experiences in therapeutic areas of Liver diseases, kidney diseases, insect borne diseases, malnutrition and under nutrition. JCS is led by a strong editorial advisory board sourced out for their experiences; you will get the most practical insight for your global studies. JCS invites you to join us, write for us, feature your experiences with us, advertise your capabilities with us, and ask our advisory board for suggestions and guidelines. Let us make health care available to all. View details Labcompare Supporters http://www.labcompare.com Labcompare is a product of American Laboratory, and is already included in the AL logo on your website. I have attached the standalone Labcompare logo and info is below, but if you do add this one separately, could you exchange the American Lab logo with the one attached? For laboratory managers and researcher scientists across analytical chemistry and applied sciences who need to find product solutions, advice, and access scientific tools. Labcompare provides an industry-leading, comprehensive, online resource of product information to support the laboratory’s needs. Labcompare supports every step of the buying journey by focusing on core and new product technology, supplies, tips, and buyer’s guides. View details Labiotech.eu Supporters https://goo.gl/DRE2Gp Labiotech.eu is the leading digital media covering the European Biotech industry. Over 100,000 monthly visitors use it to keep an eye on the business and innovations in biotechnology. Hope you'll enjoy reading our stories! View details Medical Device Network Supporters http://www.medicaldevice-network.com/ Medicaldevice-network.com is your one stop for information on the medical device industry, covering everything along the supply chain from biomaterials and materials solutions to electronics, packaging, motors and motion control, outsourcing and more. Through our international team of journalists, we cover diagnosis, prevention, monitoring, standards, treatment and technology – all you need as a professional in the medical industry to stay abreast of the latest developments in your field. View details Pharmavision Supporters http://www.pharmavision.co.uk PharmaVision offers a consultancy service providing independent pharmaceutical thematic research to the healthcare industry, the investment community and competitive intelligence specialists. We perform due diligence research and provide expert commentary in healthcare. Our reports combine scientific analysis in drug delivery, R&D technologies and pharmaceutical products including patient modelling, product/technology forecasts and market trends evaluation. View details SelectScience Supporters http://www.selectscience.net/register?utm_source=Media-Partner&utm_medium=Website&utm_campaign=SMI SelectScience is an independent, online information resource for the worldwide scientific community, and the home of trusted information for laboratory scientists. Discover the latest drug discovery and development technologies, products and techniques with product reviews, videos, application notes and news articles. Become a member for free today. ChemGenes, an ISO 9001 certified company established in 1981, is the industry leader in manufacturing oligonucleotide synthesis reagents and has consistently provided the highest quality phosphoramidites and solid supports in the market. Our facility, just outside of Boston/Cambridge Massachusetts USA, is setup for bulk manufacturing of therapeutic grade phosphoramidite and solid support DNA/RNA synthesis products for GMP grade oligonucleotide manufacturing. Additionally, ChemGenes carries the widest variety of modified phosphoramidites and supports currently used in oligonucleotide synthesis including Microarray Technology, Oligonucleotide Therapeutics, Oligonucleotide Based Probes and other areas of Nucleic Acid research. ChemGenes remains devoted to providing you with invaluable customer service and comprehensive technical support. With nearly 20 years’ experience in regulatory-driven, phase-appropriate application of orthogonal analytical techniques for oligonucleotides and a heritage of supporting GMP manufacturing and regulatory submissions, our expertise can support your development from initial characterization and CMC, through to bioanalytical services and long-term quality control including Method Development/Validation, Identity/Assay, GMP Release/Stability Testing, Physico-chemical, Structure, Sequence & Chain Length Characterisation, Cell-Based Assays, Purity & Impurities Analysis, ICH Stability Studies and Extractables / Leachables. NOF Corporation is the leading manufacturer of GMP grade activated PEGs, lipids, ultra-pure polysorbates 20 and 80, and excipients for drug delivery products through R&D to commercial scale. We continue to provide cutting-edge products for nucleic acid delivery, antibody-drug conjugate, hydrogel medical devices, vaccine formulation and targeted delivery of oncology drugs. Mission: The Institute is focused on disseminating the technologies, tools, methods and materials through collaborations with researchers in a breadth of disciplines and foci critical to the advancement of scientific capabilities. RNA is ephemeral and challenging to work with but its potential in medical sciences and human health is invaluable. Labcompare is a product of American Laboratory, and is already included in the AL logo on your website. I have attached the standalone Labcompare logo and info is below, but if you do add this one separately, could you exchange the American Lab logo with the one attached? For laboratory managers and researcher scientists across analytical chemistry and applied sciences who need to find product solutions, advice, and access scientific tools. Labcompare provides an industry-leading, comprehensive, online resource of product information to support the laboratory’s needs. Labcompare supports every step of the buying journey by focusing on core and new product technology, supplies, tips, and buyer’s guides. Medicaldevice-network.com is your one stop for information on the medical device industry, covering everything along the supply chain from biomaterials and materials solutions to electronics, packaging, motors and motion control, outsourcing and more. Through our international team of journalists, we cover diagnosis, prevention, monitoring, standards, treatment and technology – all you need as a professional in the medical industry to stay abreast of the latest developments in your field. [Therapeutic Delivery Journal] Therapeutic Delivery offers both academics and industry professionals broad and comprehensive coverage of all aspects of the evolving drug delivery field. The journal features cutting-edge research and reviews, opinion articles on the hottest topics and a monthly industry update, written by key players in the therapeutic delivery community. 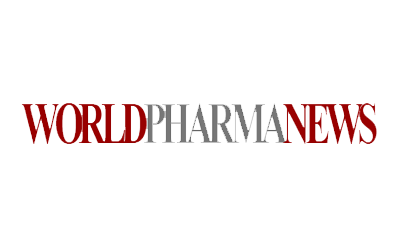 IPI – International Pharmaceutical Industry IPI – was established to fill in the void for effective marketing and communication between all stakeholders in the Life sciences sector globally. Edited by our carefully selected editorial advisory panel, and extensive research network, IPI provides a proven supportive means of communication to the pharmaceutical, bio pharmaceutical, nutraceutical and medical devices industry the latest in research and technology innovations, regulatory guidelines, marketing and communication strategies which will enable them to be more efficient, bring products to market faster, reduce cost and make healthcare accessible to all. PharmaVision offers a consultancy service providing independent pharmaceutical thematic research to the healthcare industry, the investment community and competitive intelligence specialists. We perform due diligence research and provide expert commentary in healthcare. Our reports combine scientific analysis in drug delivery, R&D technologies and pharmaceutical products including patient modelling, product/technology forecasts and market trends evaluation. Biosave.com brings together the best Life Science promotions, product releases, featured products, publications, videos and events from 100’s of leading Life Science suppliers. Updated 24 hours a day, Biosave is constantly uploading special promotions and exciting product news that you won’t find anywhere else. Our goal is to provide our users with the most exclusive product information to help reach that all important purchasing decision. Published bi-monthly.JCS is a unique journal, dedicated to providing information to the global pharmaceutical, biotechnology, medical devices and contract research organisations. JCS details practical and theoretical operational procedures, challenges, validatory and regulatory guidelines when conducting trials on a multisite basis and particularly within the emerging markets, naïve patient population, and remote access areas. JCS provides country by country objectives and uniquely brings you experiences in therapeutic areas of Liver diseases, kidney diseases, insect borne diseases, malnutrition and under nutrition. JCS is led by a strong editorial advisory board sourced out for their experiences; you will get the most practical insight for your global studies. JCS invites you to join us, write for us, feature your experiences with us, advertise your capabilities with us, and ask our advisory board for suggestions and guidelines. Let us make health care available to all. Absave.com is the leading savings website for Antibodies and Immunological Products. Search our extensive database of Antibodies, Kits, Proteins & Peptides, Reagents, etc. to find the best savings! SelectScience is an independent, online information resource for the worldwide scientific community, and the home of trusted information for laboratory scientists. Discover the latest drug discovery and development technologies, products and techniques with product reviews, videos, application notes and news articles. Become a member for free today. GBI is an information, applications, and services company focused on the healthcare industry. Leveraging data from across the healthcare value chain, GBI creates web and mobile applications that enable individuals and organizations to make better decisions and communicate more effectively.